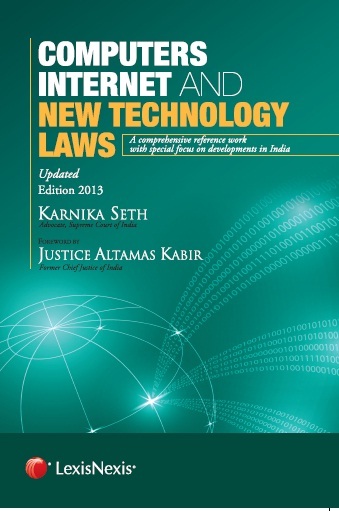 This section of the Website discusses briefly some important orders/judgements passed by Indian courts relating to cyberlaw .The cases elucidate various aspects of cyberlaw in India including copyright infringements,digital frauds, data thefts, online defamation and other cybercrimes . The cases also deal in complex matters dealing with determining jurisdiction in cyberspace, trademark infringements, breach of privacy, and cyberpornography. In a landmark case , The Supreme court struck down Section 66A of IT Act,2000 as unconstitutional on the ground that its terms were vague, and ambiguous and placed unreasonable restrictions on the Freedom of speech. An important case on admissibility of electronic records. The Delhi High court granted an exparte injunction in a civil defamation action involving posts on blogspot. Nirmal baba approached the Delhi High court in an online defamation case where exparte injunction was granted against a foreign website, hubpages.com. The case deals with jurisdiction issues,intermediary liability and blocking of defamatory content online. This case was a verdict on Bazee.com case wherein director of Bazee.com was accused of selling pornographic material through its website.The Supreme Court of India held that when a company has not been arraigned as an accused , the director of the company cannot be made vicariously liable and quashed the FIR registered under Section 67 & 85 of IT Act,2000. This case concerns an exparte injunction issued against defendant website based abroad to block from access defamatory content published against the plaintiff. An important judgment on determining liability of an internet service provider and law on digital copyright infringement in India. This case dealt with allegations made by petitioner that defendant runs an illegal online pharmacy. The court deals with question of intermediary liability and exemptions available to them under IT Act,2000. This case deals with digital evidence , particularly ,Section 65 B of Indian Evidence Act. The Court held that even if an affidavit in terms of Section 65B has not been filed electronic evidence can be proved through other means such as secondary evidence. The case concerns admissibility of electronic evidence and law on interception of telecommunication in India. This case pertained to copyright and data theft from ex employers office and discusses breach of confidentiality in detail. The case deals with laws applicable to cover versions of an album and throws light on copyright infringement issues. Public Union for Civil Liberties v. Union of India (1997) 1 SCC 301. A land mark judgment wherein the Supreme court laid down detailed procedural guidelines for telephone tapping which led to formation of new rules under Telegraph Act.